Investing in forex, gold, silver or any other valuable is, in most cases, a good idea. However, it does require a thorough knowledge of the trade and staying up to date with market trends. 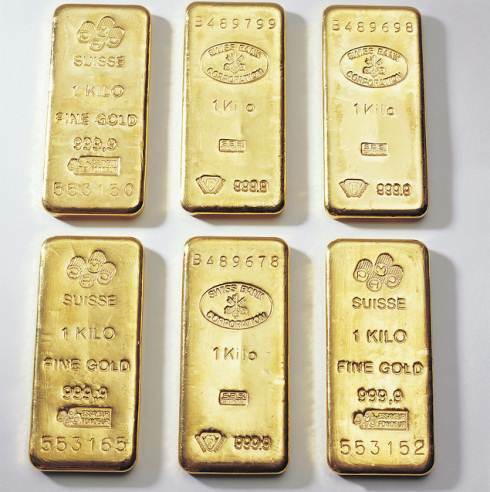 Gold is one of those assets that will never cease to exist – especially if you’re buying gold in its physical form (bars and coins). The prices can be extremely volatile, just as in any other market, but gold will always keep at least some of its value. The proof for this is that during a serious financial crisis (2008-2010) most traders rushed to invest in this precious metal. Historically, gold had a major role in the world economy – it has been used as a currency of choice for almost 4,000 years. It’s no longer the world reserve currency, and the dollar replaced it, but it’s still a good long-term investment under certain conditions. For a long time, the gold was available in its physical form only. However, today, you can invest in gold in many different ways: bars, coins, deliverables, exchange-traded products, certificates and mining companies. Naturally, all these types of investments have their advantages and disadvantages. We don’t say that investing a gold is a “must” – but it will surely help you to diversify your well-balanced portfolio. It would be wise to have at least 5 percent of your total portfolio in gold bullion, or any other form such as futures or an ETF. Why is good to devote at least a part of your portfolio to gold? Most people who invest in it think of the gold as a hedge or a safe haven in the times of political or economic turbulence such as wars and inflation. It’s proven that purchasing gold diversifies risk and compared to other precious metals, it provides the best hedge, regardless of the market. The experienced traders will make the volatility of your gold prices work to their advantage – if they put and keep a certain percentage of the portfolio in gold, regardless of its price ups and downs. Volatility is a day-trader’s best friend – if they pay close attention to “weak” hours when the trade should be avoided (hours when gold doesn’t move well). This is just one of the many rules that need to be followed if you want to be a successful trader – regardless of the current situation on the gold market. Is it a good idea to invest in gold right now? We already mentioned that gold is very popular when times are tough and uncertain and people rush to purchase gold hoping that it will provide a safe hedge. This is not a bad strategy per se, but investors “go with the crowd” in the fear for their economic safety and this leads to gold shortages. Also, there’s danger of making impulse purchases after investors have already lifted the gold prices. You’ll benefit more if you plan your investment ahead – and before waiting for an economic collapse. The similar thing is happening right now – Brexit caused a real turmoil on the world currency market and the latest report (July 8) showed that $4.1 billion was spent on gold and silver during the previous week – which means that money is being invested in precious metals like never before. The price of gold has been dropping significantly between 2012 and 2015. The reason for this would be the strength of the US dollar against other currencies (the stronger the dollar, the lower the price of gold is). However, Brexit caused these prices to jump – gold went up almost 8% and silver has jumped 14% since the UK decided to leave the European Union. To sum up – if you want to be a safe-haven investor, keep track of the situation, learn how to anticipate the crisis and purchase gold before it, while everything is still relatively calm and quiet. When concern about crisis spreads, it leads to a greater demand and gold shortages (as everyone wants to invest in it and the prices go up). If you need a hedge against uncertainties, gold (especially in its physical form) and in a well-balanced portfolio will protect you against inflation, stock market weaknesses and other currency fluctuations. Previous post: Vacations: Waste of Money or Good Investment?